Happy Thursday! 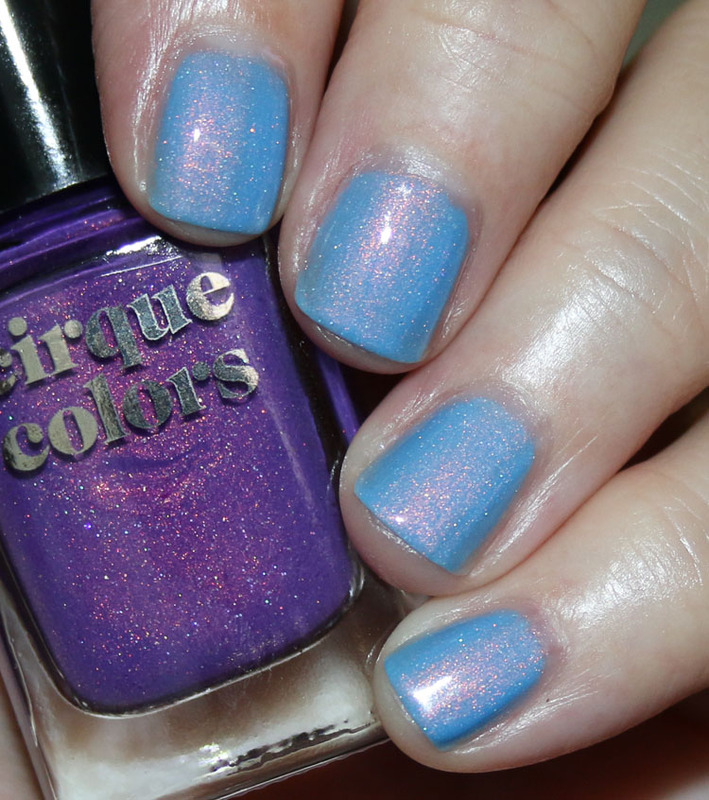 Today I have the new Cirque Colors The Celestial Collection for you! 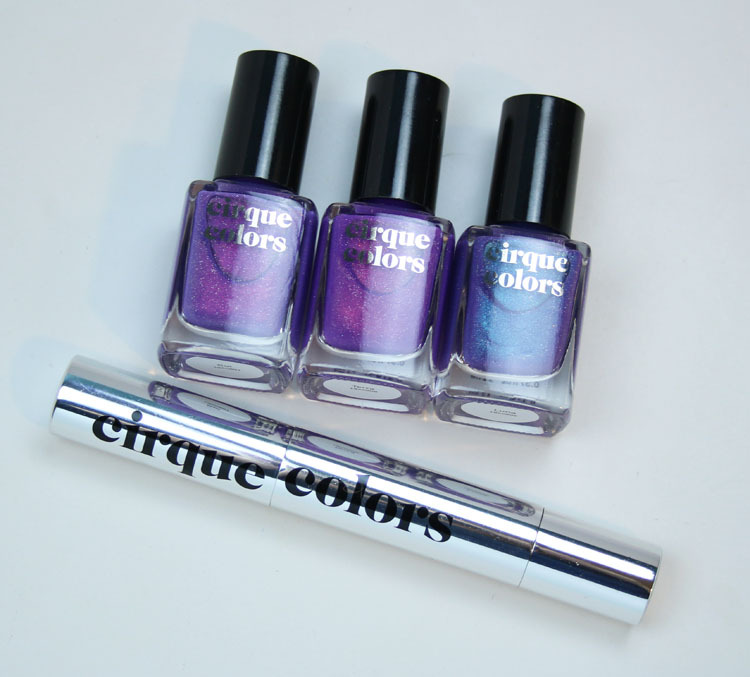 Cirque Colors The Celestial Collection features three new thermal nail shades with shimmer and holographic sparkles. The inspiration for the collection was planetary bodies, as the name suggests. They are so insanely gorgeous, you MUST see them in person! Of course the formula was absolute perfection, as per usual. They apply beautifully with just two coats. 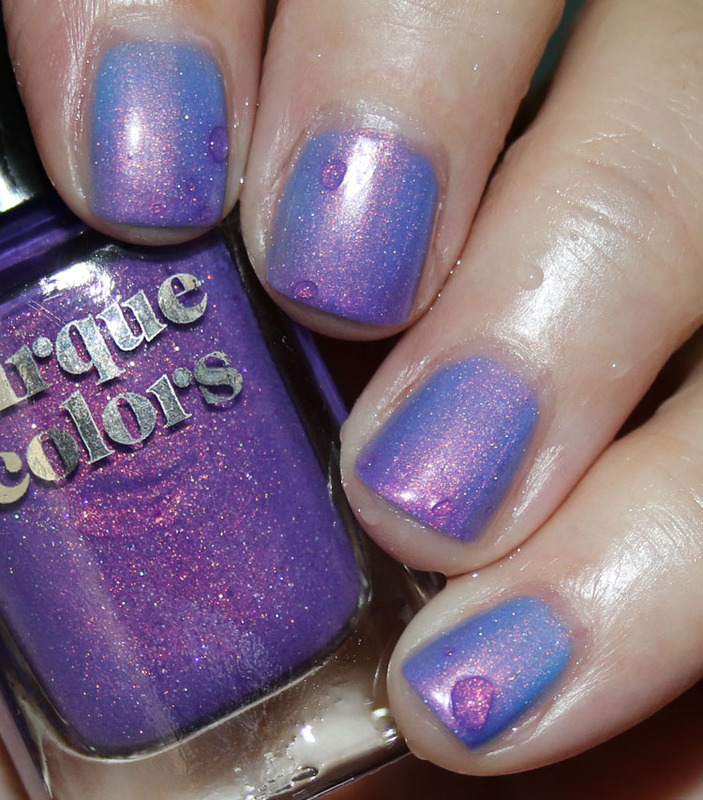 Terra is a light blue when cold and purple when warm and has copper shimmer and holo sparkles. 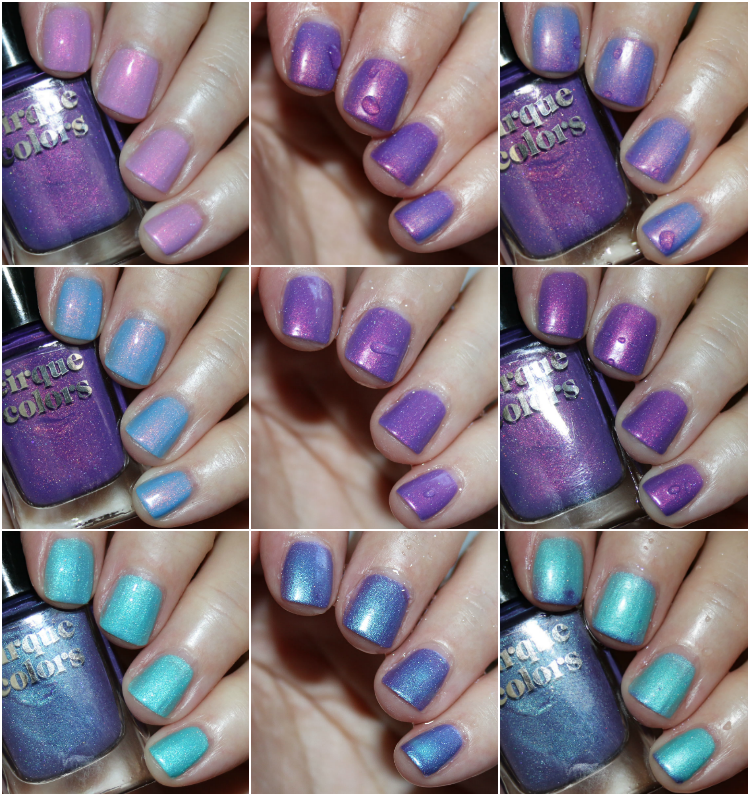 Sol is a baby pink when cold and purple when warm and it has pink shimmer and holo sparkles. 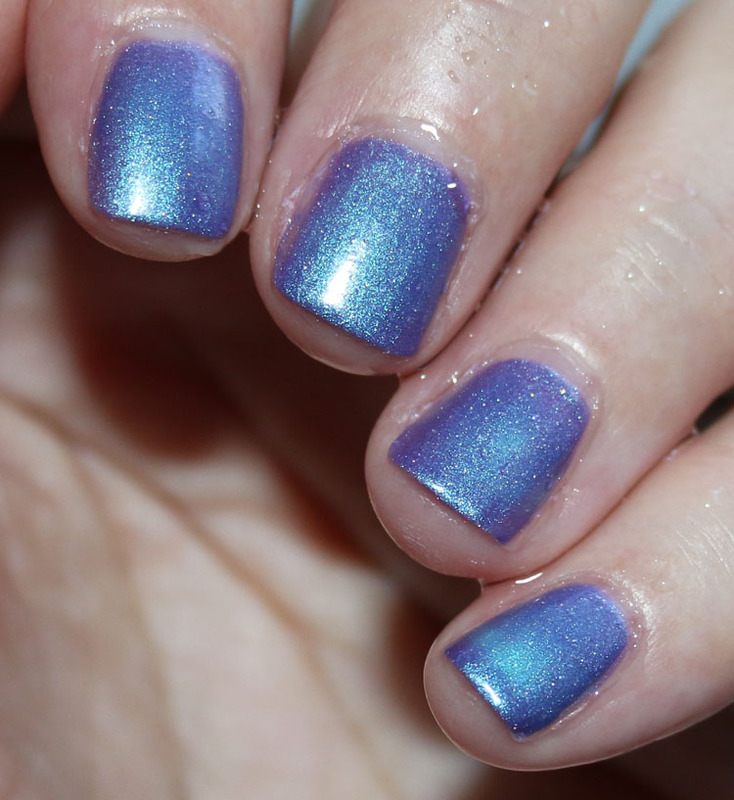 Luna is a deep violet when cold and turquoise when warm and it has teal shimmer and holo sparkles. Aren’t these just gorgeous? I love them no matter what color they are or are switching to, but am especially enamored with Terra and Sol. And last but not least I wanted to say I also tried their cuticle oil pen, which is a blend of avocado, argan, apricot oils, and vitamin E. It also contains tea tree oil, which has natural antimicrobial/anti-fungal properties. Just a few twists of the cuticle pen gets the oil out and it hydrates cuticles and nails like crazy and smells great! It’s on their site and is $14.00. The Cirque Colors The Celestial Collection is available now on their site and they are $14.00 each. So are you loving the thermal nail trend happening now? Which of these is your favorite? All 3 of these polishes are beautiful! Very cool. Thanks for posting these! Wowee! Every one is absolutely breathtaking! I want them all! Be still my heart 💖 Gorgeous!